Home > EXTERIOR > Compounds/Polishes > Miraculous Plus - 32 OZ. Miraculous Plus - Removes finger prints, smudges, and surface dust while enhancing gloss. Its uses include removing residue after buffing. 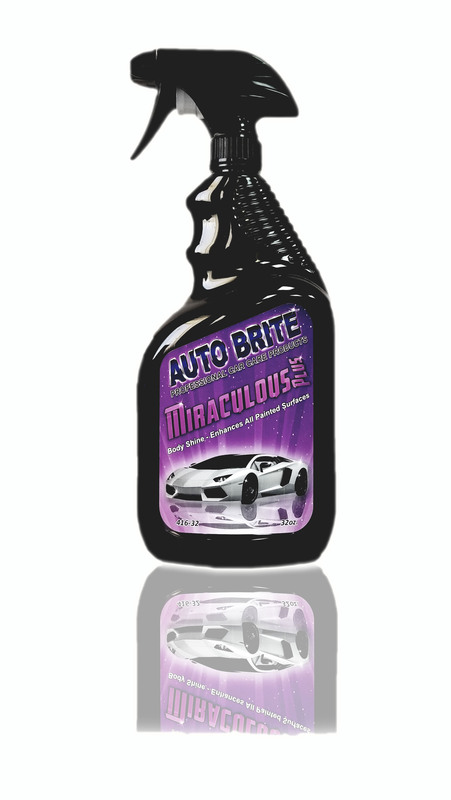 Excellent for touch up and wipe down maintenance of showroom and collectible cars. Safe on all paint surfaces, chrome, vinyl trim and glass. Recommended lubricant for use with Elasti-clay bar. Also Available in: 416-1 - Single Gallon, 416-5 5 Gallon.